Married to Jenny (Ott) from Minnesota since 1970 (40+ years) - we were both newcomers in town when we met in Charlottesville Virginia. Adopted son Mark in 1975 (36 years), Mark is married to Stacey (2 years), and lives in Sachse, near Dallas. 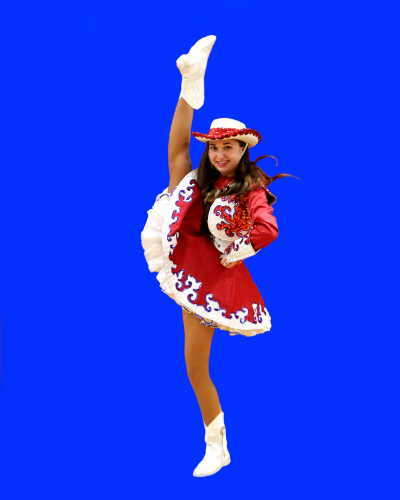 Granddaughter Chelsea (17 years old, High School Senior) is super involved in High School Dance Team (the team champ at high kick). Even though they are 210 miles away, we see a lot of high school football! 1965 graduated as an Electrical Engineer, but stayed at Union College to become the	first director of their computer center, and to start the computer science program. 1969 spent a half year in Brasil as a visiting professor. 1970 moved to University of Virginia to run their computer center (faculty title, but minimal teaching), met and married Jenny. The computer center grew to a regional facility serving over 20 schools. 1978 joined Systems & Computer Technology Corp. as a consultant and "contract" computer manager, moved to Philadelphia to run the computer center at Temple University, then to San Antonio Texas to run the computer center at Trinity University. 1982 Joined USAA in San Antonio to start their advanced technology group; led the team that built the first very large scale document image system (which became an IBM product, and led to lots of international travel and speeches). 1995 joined Computer Sciences Corporation in Austin Texas as their consultant in document imaging. 2005 tried to retire from CSC, but failed at retirement - just went to part time with CSC until 2010. 2005 made my part-time custom furniture making business full-time, making a lifelong hobby into a profitable business. So many people were amazed (why?) that I built a web site to explain how to do it (see www.solowoodworker.com). Jenny says the professor in me never dies. Keep Jenny's passport from getting dusty - we love to travel, especially internationally (Italy upcoming, Germany spring 2011, Scotland fall 2010, canceled our trip to Tokyo scheduled for the week after the big earthquake in 2010). See www.plesums.com/travel. Season ticket holder to the Austin Symphony, very active in church. It took about 35 years for Jenny to realize that being married to a nerd had benefits... there is hope for all of us.